This pict is Plum blossoms. Spring has been coming in Karuizawa. 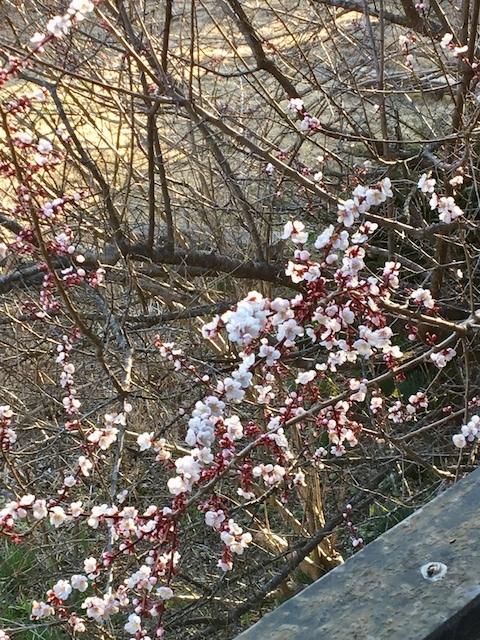 You will be able to plum blossoms in full bloom 2weeks later. After plum blossoms, Flowering of cherry blossoms is started. In the average year, the cherry blossoms are in full bloom at the end of April.